Maximum Voltage Between any Terminal and Earth Ground Rated voltage Display Digital: 3,200 counts, updates 2.5/sec Analog: 31 segments, updates 25/sec Response Time of Digital Display V ac < 2 s V dc < 1 s W < 1s to 320 kW, < 2s to 3.2 MW, < 10 s to 32 MW Operating Temperature 0°C to 50°C Storage Temperature -40°C to 60°C Temperature Coefficient 0.1 x (specified accuracy)/°C (<18°C or >28°C) Electromagnetic Compatibility In RF field of 3 V/m on all functions. Total accuracy = Specified accuracy + 0.1% of range. Relative Humidity except 32 MW range 32 MW range only 0% to 90% (0°C to 35°C) 0% to 70% (35°C to 50°C) 0% to 80% (0°C to 35°C) 0% to 70% (35°C to 50°C) Altitude Operating: 2000 meters Storage: 12,000 meters Battery Type 9 V NEDA 1604 or 6F22 or 006P, or NEDA 1604A or 6LR61 Battery Life 2000 hrs typical with alkaline 1600 hrs typical with carbon zinc Continuity Beeper 4096 Hz Shock, Vibration per MIL-T-PRF 28800F Class III, Sinusoidal, Non Operating Size (H x W x L) 3.7 cm x 8.9 - 7.8 cm x 19 cm (1.5 in x 3.5 - 3.1 in x 7.49 in) Weight 365 g (12.9 oz) Safety 600 V CAT III and 1000 V CAT II per ANSI/ISA S82.01-1994, EN 61010-1: 1993, CSA C22.2 No 1010.1-92, UL 3111-1. EMC Regulations EN 61326-1 1997. 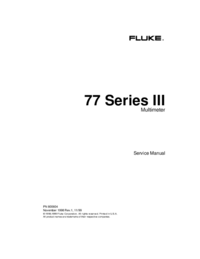 This manual presents service information for the Fluke 77 Series III Multimeter. 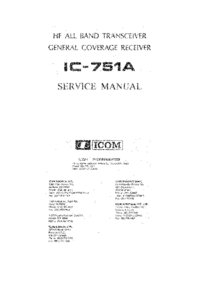 The manual includes a theory of operation, general maintenance procedures, performance tests, calibration procedures, troubleshooting information, a list of replaceable parts, and schematic diagrams. The following descriptions briefly describe each chapter in the manual. 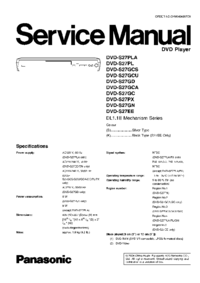 Chapter 1 Introduction and Specifications This chapter describes use of the Service Manual and application of special terminology (conventions) to describe the meter’s circuitry. 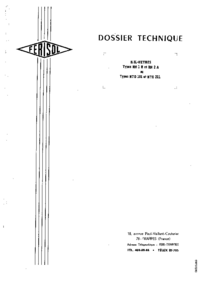 A complete set of specifications appears at the end of this chapter. Chapter 2 Theory of Operation This chapter first categorizes instrument circuitry into functional blocks, with a description of each block’s role in overall operation. A detailed circuit description is then given for each block. These descriptions explore operation to the component level and fully support troubleshooting and repair procedures defined in Section 3. Chapter 3 Maintenance Provides complete maintenance information, from general maintenance and cleaning instructions to detailed troubleshooting and repair procedures to the component level. Troubleshooting and repair procedures rely heavily on both the Theory of Operation presented in Chapter 2 and the Schematic Diagrams shown in Section 5. Chapter 4 List of Replaceable Parts Includes parts lists for all standard assemblies. Information on how and where to order parts is also provided. Chapter 5 Schematic Diagrams Includes schematic for the A1 Main PCA. The following descriptions briefly describe each chapter in the manual. Chapter 1 Introduction and Specifications This chapter describes use of the Service Manual and application of special terminology (conventions) to describe the meter’s circuitry. A complete set of specifications appears at the end of this chapter. Chapter 2 Theory of Operation This chapter first categorizes instrument circuitry into functional blocks, with a description of each block’s role in overall operation. A detailed circuit description is then given for each block. These descriptions explore operation to the component level and fully support troubleshooting and repair procedures defined in Section 3. Chapter 3 Maintenance Provides complete maintenance information, from general maintenance and cleaning instructions to detailed troubleshooting and repair procedures to the component level. Troubleshooting and repair procedures rely heavily on both the Theory of Operation presented in Chapter 2 and the Schematic Diagrams shown in Section 5. Chapter 4 List of Replaceable Parts Includes parts lists for all standard assemblies. Information on how and where to order parts is also provided. Chapter 5 Schematic Diagrams Includes schematic for the A1 Main PCA.